Research has shown that, nowadays, gift givers do not pay careful attention to the gift requests of their loved ones. Frequently, this is because they believe that choosing something else might appear more thoughtful and personal to the gift receiver. However, this is not the case: she would appreciate a gift that she requested more than one that you have selected from your imagination. So, what does this mean? It means that you have to find the right gift for her and this is not always a simple task, except when you use YouGotaGift.com. With this gifting platform, you can be sure that she will get what she wants. All you have to do is discover which brands she loves, then the rest is on her, as she will be the one to choose the items on her wish list. It is a win-win situation. If you are faced with a gifting need for a woman who is all about fashion and style, then a retail gift card from Zara or Mango would be perfect. Both of these stores gateways to the latest looks from the Fashion Week catwalks. From accessories and shoes to dresses and coats, they have got it all and will surely make her stand out. If you are looking for a different kind of retail experience for your special lady, then you should definitely go for an eGift card from Splash. This is where she will find the latest trends at the most affordable prices. Alternatively, there is also Centrepoint which combines many stores under one roof: Babyshop, Splash, Shoe Mart and Lifestyle are all available at this department store. This way, she can buy items for her kids, for her house and for herself all in one go. Does she need amazing accessories to make her outfits pop? If so, then you should select the Malabar Gold gift card with which she can buy exclusive necklaces, earrings or bracelets. It is the only way to celebrate the sophisticated woman in your life. Our retail gift options don’t end here, or in Dubai for that matter. They spread out all over the UAE! Gifts for her (Dubai, Abu Dhabi, Sharjah, RAK…) are available in the capital. 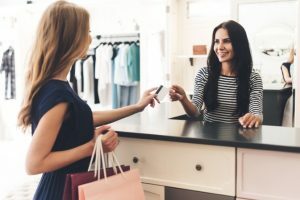 With an online voucher from Yas Mall, she can choose from a wide range of stores, from fast-fashion to luxury, and from a long list of items, from household goods to baby items. It’s not limited to the UAE either, you can buy a gift in Lebanon, Saudi Arabia, Qatar and other countries in the region. How about an experience as a gift? Pamper her with an eGift card from the Nail Spa, where she can get her nails fixed, and receive a facial or other massages at the same time. 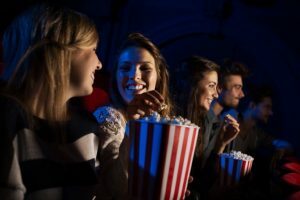 If you feel like she needs some quality time with her friends, family or yourself, then you can go for the Reel Cinemas gift card, with which you can both enjoy an evening off at the movies and some delicious popcorn. The main point is that she will appreciate a gift she wants more than a gift that you personally chose for her. 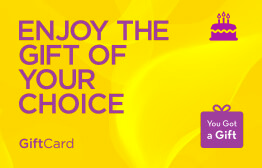 With an eGift card, you choose the brand and she chooses the gifts: it’s the best of both worlds! 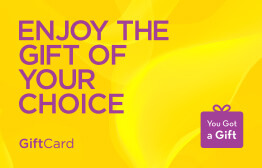 Gifts for her (UAE, KSA, Lebanon, Qatar) are now easy to give and easier to choose, with YouGotaGift.com. This entry was posted in Gifts for her, YouGotaGift.com and tagged gifts for her, Birthday Gifts for her, Gifts for her in Dubai on March 19, 2017 by Maria Najjar. Let’s say your special lady needs some time off work and home. You can be sure that a pampering session is much in order and will help take her mind off her responsibilities. What better place to do this than the Sister Beauty Lounge? This is where relaxation and fun meet and where she can get unparalleled nail, hair, face and body treatments! Alternatively, she can go to The Nail Spa and receive the royal treatment for her nails and toes! She can also get a facial and other amazing therapies, that are going to spoil her on this very special day. Birthday gifts Dubai-ladies will love can also include some retail therapy and an amazing shopping experience. 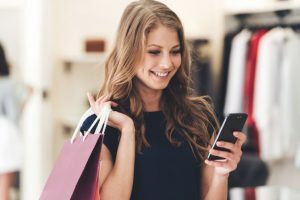 She can do this with an eGift card from Yas Mall with which she can choose many stores to buy apparel, accessories, home décor, electronics among many other! You can also choose an eGift Card from Zara or Mango: it is at these stores that she can lay her hands on the best looks straight out of the catwalks of Paris, London and Milan. On her big day, make sure you are the reason she is walking around in style. How about some electronics as birthday gifts for her in Dubai? Yes! With an eGift card from Sharaf DG, your lady can buy lots: mobiles and tablets, computers, cameras, televisions, music equipment, home and kitchen appliances as well as health and beauty gadgets. This eGift card gives her access to the ultimate electronics destination and more! It is perfect for the woman who loves and is always up to date with the latest technology. Have you ever heard the expression “diamonds are a girl’s best friend”? Well, it’s true, especially with Malabar Gold Diamonds: this store’s offering will offer her the gift of sparkle and shine and will definitely make her stand out of the crowd. With their exclusive line of gold and diamond earrings, bracelets and necklaces, she is bound to feel elegant and sophisticated at all times, for all occasions and when wearing all of her outfits. We hope you can see that there are so many birthday gifts for women that you can choose from and that will definitely make your special lady happy on her big day. If you need gifts for girlfriend, for wife, for colleague, for sister or for mother, we have got you covered with digital vouchers that are engineered to impress. The most amazing part, however, is how personal such a gift can be. Thanks to our platform, you can easily add a picture of you and her, a video or a special message for your lady. Forget about impersonal and lazy gifts, and leave room for thoughtful and happy ones! Wish her a happy birthday with a special outing, a cake, but most importantly, with an eGift that screams love, appreciation and happiness. This entry was posted in Birthday Gifts, Gifts for her, YouGotaGift.com and tagged Birthday Gifts in Dubai, Birthday Gift Ideas, Birthday Gifts for her on March 8, 2017 by Maria Najjar.